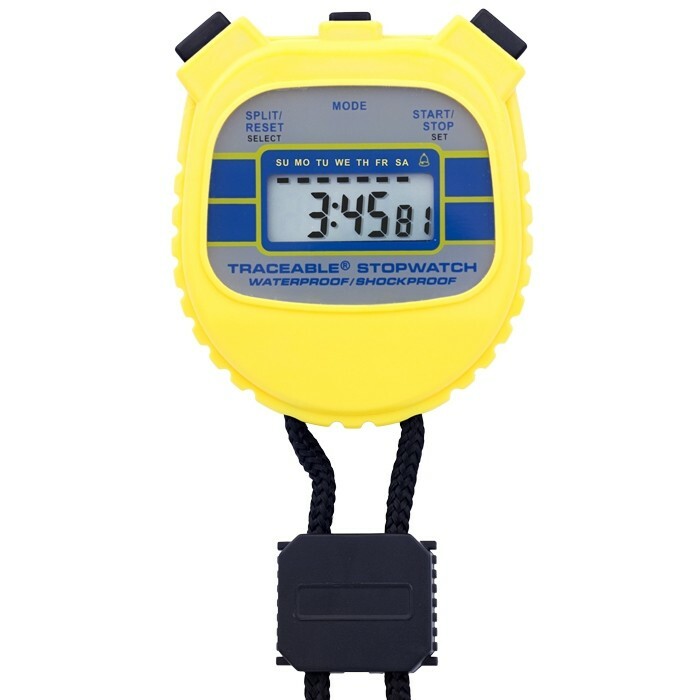 General-purpose stopwatch times to 24 hours. Timing resolution is 1/100 of a second for the first 30 minutes, then continues timing to 23 hours, 59 minutes, 59 seconds, with a 1-second resolution. Accuracy is always 0.01%. Digits are 1/4-inch-high. O-ring-sealed and shock-proof ABS plastic case is ideal for lab and plant use. Unit is Water-Resistant to three atmospheres. Tactile-feel, click switches provide a positive action. Traceable® Certificate, battery and lanyard.